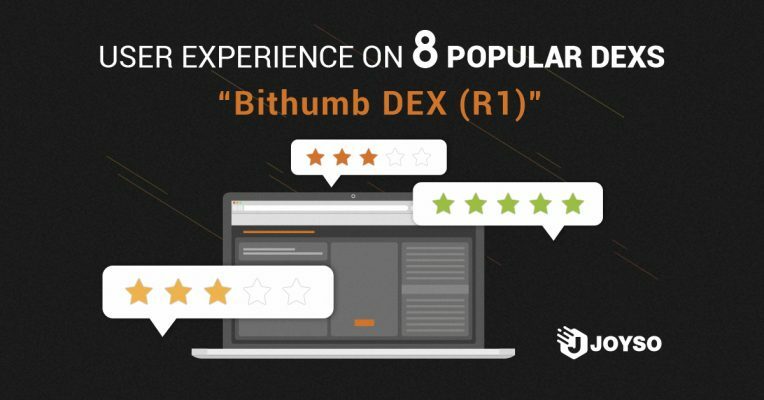 Last month, Bithumb launched a decentralized exchange – Bithumb DEX. Before its debut, I had noticed a project named R1 Protocol, and now I find out Bithumb DEX is actually one of its relayers. The website of R1 Protocol has 2 relayers now. However, Rootrex remains closed, so I can only comment on Bithumb DEX. The thing that really impact the user experience is one signature for different orders, because it resolved the order matching problems on IDEX which I mentioned before. Several orders can be matched where users only need to sign the transaction one time to authorize. Another difference is that, only Takers need to bear the Gas Fees on IDEX, while Takers and Makers both need to pay on Bithumb DEX. Though multiple orders can be matched with one signature, users still have to pay extra Gas Fees based on the amount of orders they match with. See the demonstration below, when I placed an order that would match with two orders at the same time, I was charged double Gas Fees as two transactions occurred. Makers also need to pay Gas Fees based on how many transactions take place, so they are not able to anticipate the amount of transactions and Gas Fees required. For instance, a Maker may place the order at 5 Gwei, but his/her order is matched at 20 Gwei. There is another distinction. Although the admins of Bithumb DEX will send transactions onto the blockchain for the users which is similar to IDEX, users will have to wait for the confirmation of blockchain like 0x. Similar to IDEX, the platform can decide how much trading fees they are going to collect where the maximum is 10%. There are same disadvantages among 0x relayers that collect trading fees. Even Bithumb DEX’s smart contract is more like IDEX’s, the user experience is more like a 0x relayer that require users to deposit and withdraw. This entry was posted in All, Insights and tagged Beginners, Decentralized Exchange, User Experience.